We need your help!! 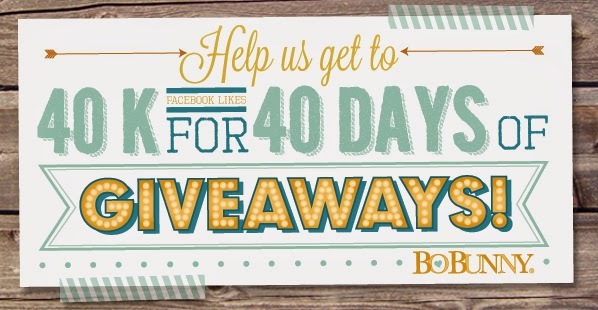 We have a BIG opportunity to bring you 40 days of giveaway! 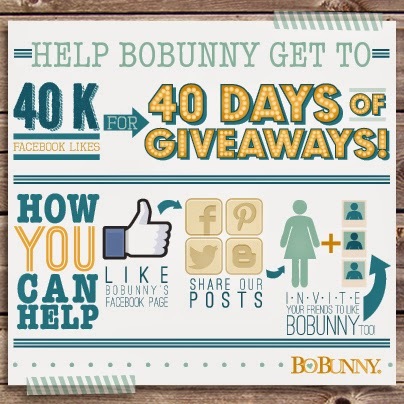 We can't start the giveaways until we reach 40,000 Facebook likes! Watch our Facebook every day this week for our new Spring Collection teasers! So play along, like our facebook page, comment on our posts, and tell your friends! Be sure to use our #40k40day hashtag this week as you playalong with us!! Use all your resources: Pinterest, Instagram, Twitter, and Facebook to get the word out! After 40 K We are going to kick off the giveaways with our new Spring product! Welcome to week two of the April Blog Class Challenge! Follow along with us this month to learn how to create a fabulous wall hanging! 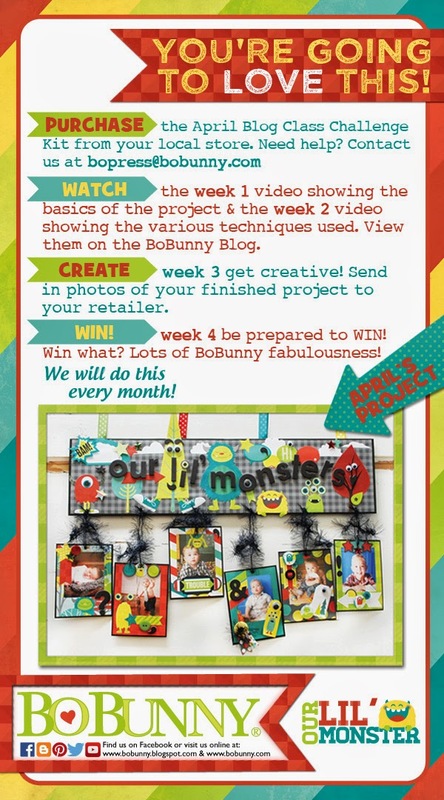 If you have your own Lil' Monsters at home you are going to love this project! #40k40day I promoted on Facebook, Pinterest and Twitter. Will continue. Good luck, Bo Bunny! You are all wonderful!! Thank you so much! I love BoBunny products. I would love to win today so I could make some beautiful cards with the lemonade embellishments.